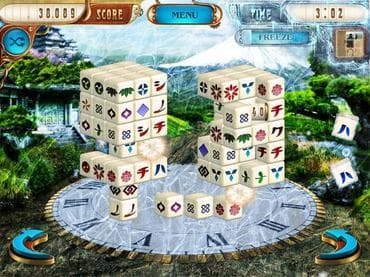 Unlike your typical mahjong board game, Mahjongg Dimensions is a 3D improved version with double the fun and excitement. In Mahjongg Dimensions, the time-space has been disrupted. Causing histories to be re-written. Find these magical object tiles that are scattered across the time-space to restore peace. - Mahjongg Dimensions is a free full version game to download and play. If you have questions about Mahjongg Dimensions game, please contact us using this form.